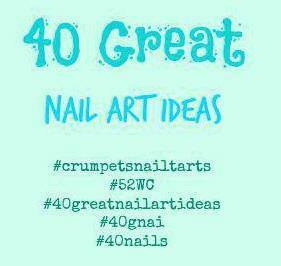 This weeks theme in the 40 Great Nail Art Ideas challenge is Cartoons or Comics. 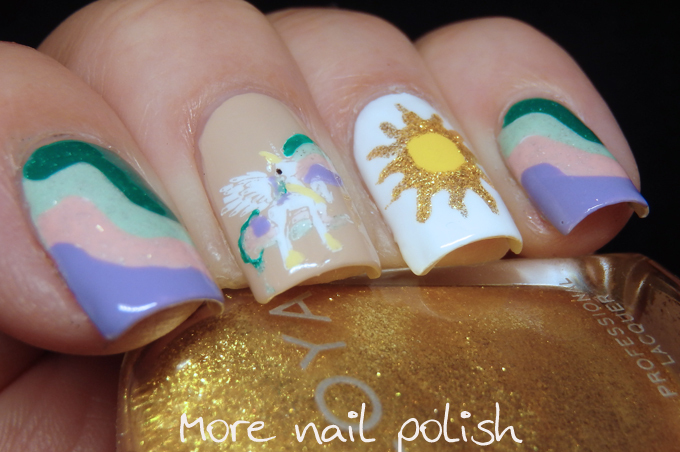 This provided me another opportunity to create some more My Little Pony Nail art. 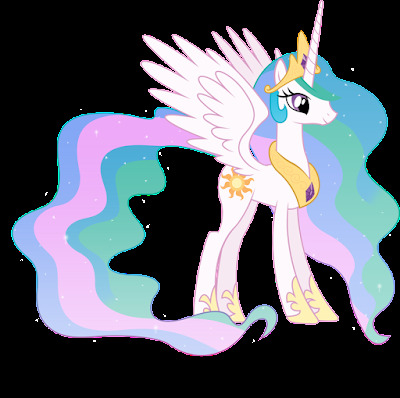 Today we have Princess Celestia. 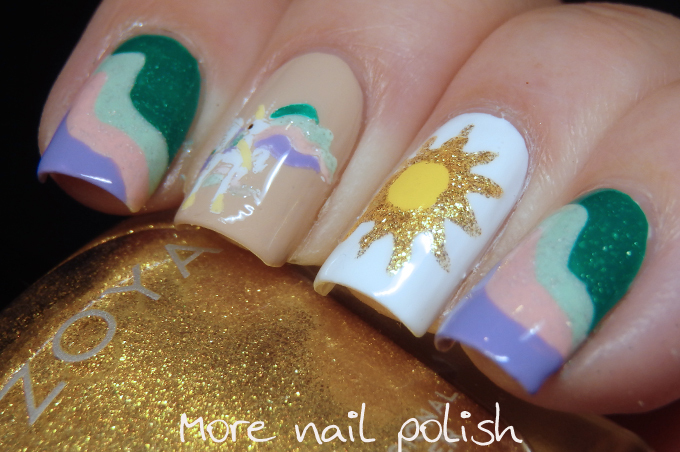 I wanted to try out the stamping image of Princess Celestia on Moon Nail Supplies NS3 plate. 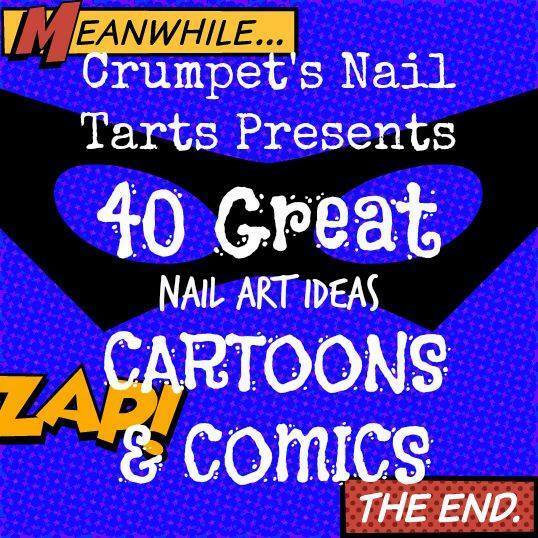 Unlike the previous image I used from the Moon Nails plate, which was Pinky Pie, this one is a solid image. Pinky Pie was an outline which meant I could colour it in like a decal. 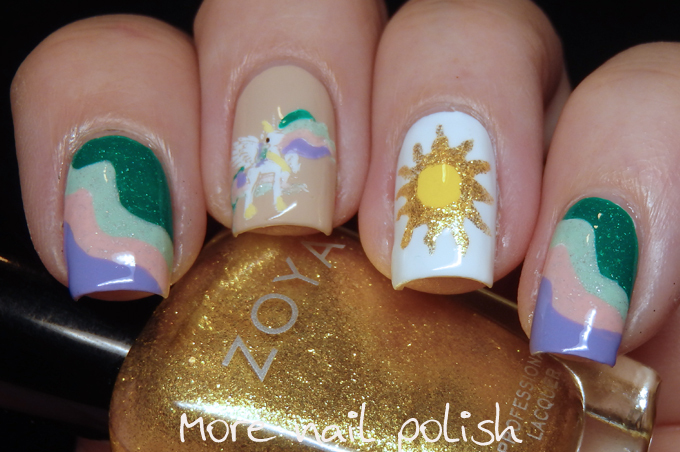 I wish this one was an outline only. 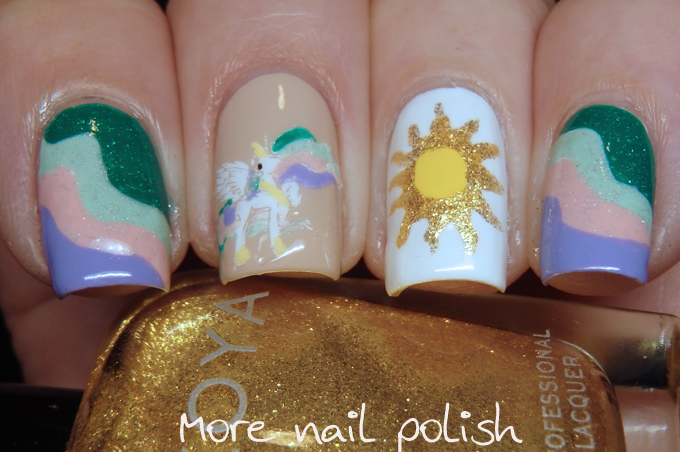 I tried to paint on top of the stamping to put her flowing hair, but the whole thing looks a bit washed out. 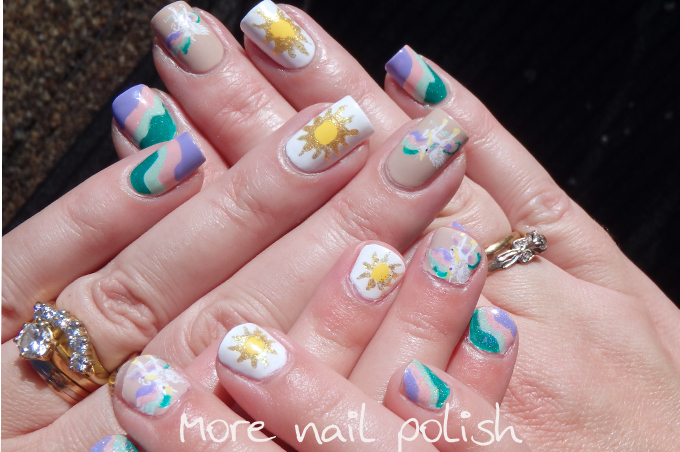 On my other nails I have Princess Celestia's cutie mark, which is the golden sun, and wavy free hand lines that represent her hair. 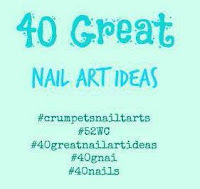 And just like my previous MLP manis, I had to do Miss 4's nails too.